They may have loved "I Love Lucy" but many in actress-comedian Lucille Ball's western New York hometown have no affection for her life-size statue in a local park. 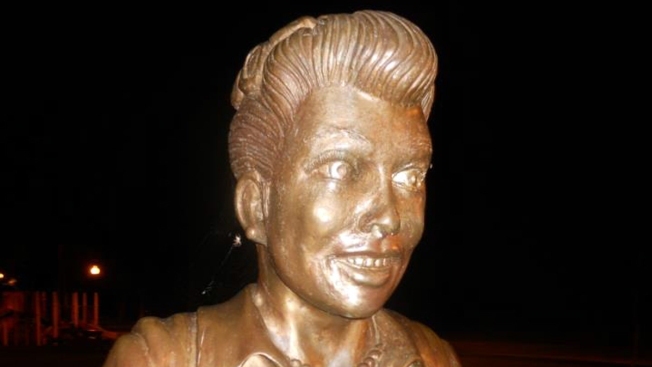 Since the bronze sculpture was unveiled in 2009 in Lucille Ball Memorial Park in the village of Celoron, the statue was been blasted by critics who say it bears little or no likeness to the star of the popular 1950s sitcom. Local media report that village officials say they want the sculptor to fix it for free, but the artist wants as much as $10,000 to alter the statue. So the village has started a fundraising effort to pay for the sculpture's makeover. A statue replacement campaign has been launched on Facebook with the name, "We Love Lucy! Get Rid of this Statue."